One of the challenges faced by a musician compiling an EP or album is to come up with an apt and (hopefully) memorable name for the project. Well, I liked Vanessa Murray’s debut EP before I had even heard it, simply because of her cleverly chosen title – it really is about time Vanessa gave us a recorded collection, so that as well as enjoying her frequent live performances, we can also relish her prodigious talent at our leisure on iPods and car stereos. 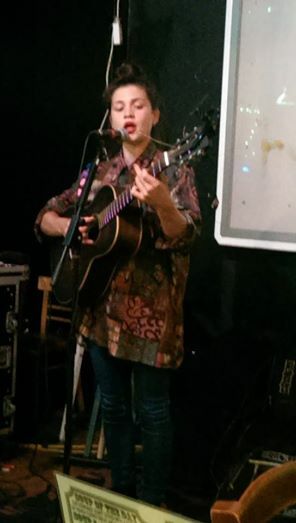 So many of us in the Liverpool area have been fans of Vanessa since she burst onto the scene, winning the Liverpool Acoustic Songwriting Challenge in 2012, aged just 17. Since then we’ve waited three years for an EP, so yes, Vanessa, it most certainly is about time! The EP kicks off with the Songwriting Challenge winner “I Don’t Wanna Lose You Like This”, which, from the first chord, sets the tone for the rest of the collection. Vanessa’s acoustic guitar work is solid and unfussy, as is all the instrumentation and vocal work throughout the collection. With contributions from several of Liverpool’s finest musicians everything is precise and considered – you will find no flashy instrumental solos, no over-elaborate layered vocals, indeed none of the fancy affectations that younger performers are often tempted to try. That is not to say that anything is in any way sparse, the sound is rich and full and superbly textured on every track. Oh, and by the way, Vanessa’s voice is as sweet and pure as anything you ever heard, and it soars beautifully above everything else. The EP is an uplifting, unashamedly poppy collection, taking the listener through several very human moods and feelings, all of which will appeal to the broadest of audiences. Vanessa’s songwriting is neat and tidy throughout, she picks out simple and memorable melodies, while mixing it up with unexpected twists just enough to keep things interesting. Her lyrics, while telling fairly simple human tales, are surprisingly sophisticated, inventive and free from cliché. From “Lose You Like This”, the title track “It’s About Time”, “Fire that Burns Within”, the wonderfully evocative “Worlds Apart”, and the superb closing track, “Thanks to You” I was hooked. Well done Ness! Let us hope that Ms Murray does not keep us waiting another three years for her next recorded collection. An absolutely immense edition of K’s Choice at Sound Food and Drink on an August Monday evening. Sincere thanks to all those who played, you were all magnificent and keep K’s Choice at the top of our game! On open mic we were treated to great sets from the very young Shea Michael Doolin, the very not so young “Herringbone” John Hall (sorry John! ), the Nashville lovin’ Izzy Ryder, and Andy Knight with a couple of well chosen covers. All were excellent and will be invited back to play for us again. 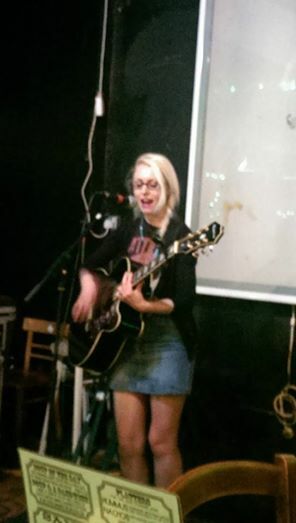 Leanne Griffiths with a strong set of heartfelt and very personal original material – just a hint of Alanis Morisette I’d say…. 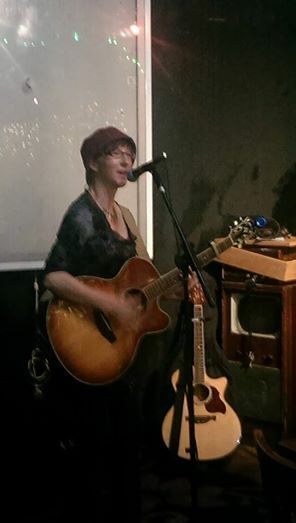 Katie Mcloughlin with her very distinctive and powerful vocals and a very individual acoustic guitar style. She played an arresting set of enchanting original songs. 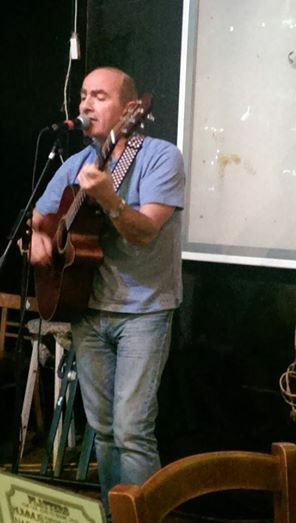 Gary Gardner, a K’s Choice favourite whose songs are becoming well known around the Liverpool acoustic circuit. Apollo, an acoustic four piece band, featuring Pete on guitar, Luke on percussion, Dan on keys and the Tom on lead vocals, with a wonderful set of lively covers that quite literally caused some of the female audience members to pass out! So many performers that your host Derek King had an easy night of it and didn’t get to play! Thanks everyone for playing, thanks to the audience for listening, and special thanks to Jules Bennett for running the best darn music cafe-bar on the planet! 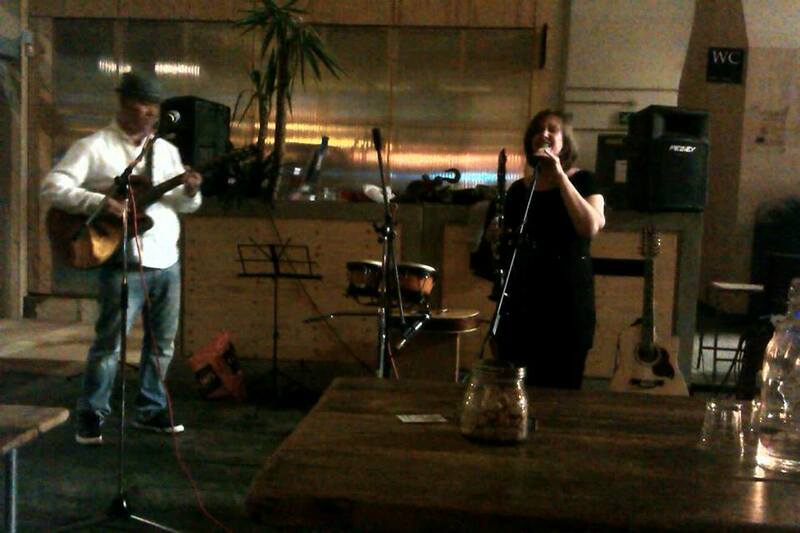 On a bright spring Tuesday evening, at an event hosted by local musician Derek King, K’s Choice made itself well and truly at home at the Sound Food & Drink cafe-bar on Liverpool’s Duke Street. Discerning folk were treated to a wonderful array of performances from some of the finest local singer-songwriters. Up first was Gary Maginnis, a Northern Irishman, who now calls Liverpool his home. 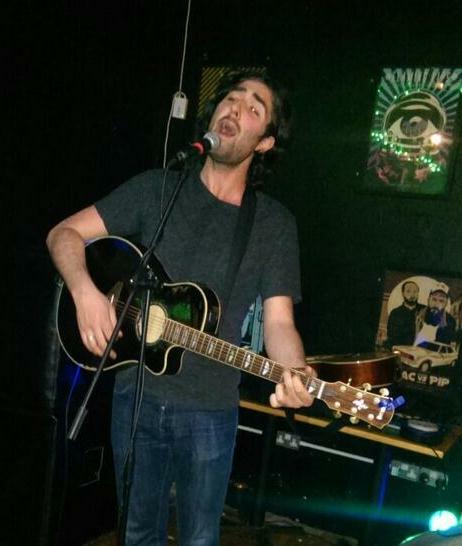 Gary took us through an interesting and varied set, delivering slow and quite sombre songs with some aplomb and moving seamlessly into much more upbeat melodies. On one of his upbeat numbers he played his acoustic guitar using a banjo style finger picking technique – it sounds like it shouldn’t really work, but it damn surely did! Next up came Welsh songstress Grace Hartrey – along with several of her friends, who formed a pretty unique kind of band. There were two boys forming a rhythm section of bass guitar and cahon, two girls on cornet and violin, both of whom also sang tight and smooth vocal harmonies, and Grace herself on acoustic guitar and lead vocal. There was a feel-good quality to this group’s performances of their beautifully crafted original songs that was truly astounding. Following the band was local lad Edward Latham, who delivered a set of his own compositions with an easy, smooth and confident style. His guitar work is assured, neat and tidy, intricate without being too clever for its own good, and it sets off his rich and powerful voice wonderfully. It was during Eddie’s set that the bar became busy and he clearly enjoyed himself interacting with a fairly boisterous, though very good natured crowd. And now, as the saying goes, it was time for something completely different….! “Herringbone” John Hall took centre stage armed with his slide guitar, and took us way, way down south…. 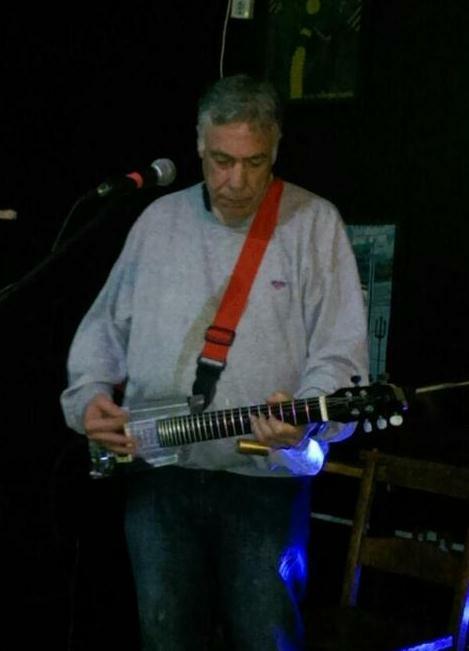 John did great justice to a couple of slide guitar classic covers including a Muddy Waters number, before moving onto more contemporary things like Wilko Johnson and a fair smattering of his own compositions, including the unforgettable “Martin Luther King Said”. John’s final number was performed with a slide guitar he had fashioned himself from a cigar box, which I guess honest god fearin’ folk in the deep south used to do…. As I say, something completely different! A great final act after such a rich range of styles and exquisite performances. Join us for the K’s Choice City of Music volume 2 compilation album launch party at Sound Food & Drink on Friday 30th May. ‘Twas the night after Hallowe’en and ghosties and ghoulies still prowled the cold, dark streets of the Baltic Triangle….! Just as well there was a warm and decidedly not-scary welcome from the lovely Stella who runs the Unit 51 coffee shop in Jamaica Street. 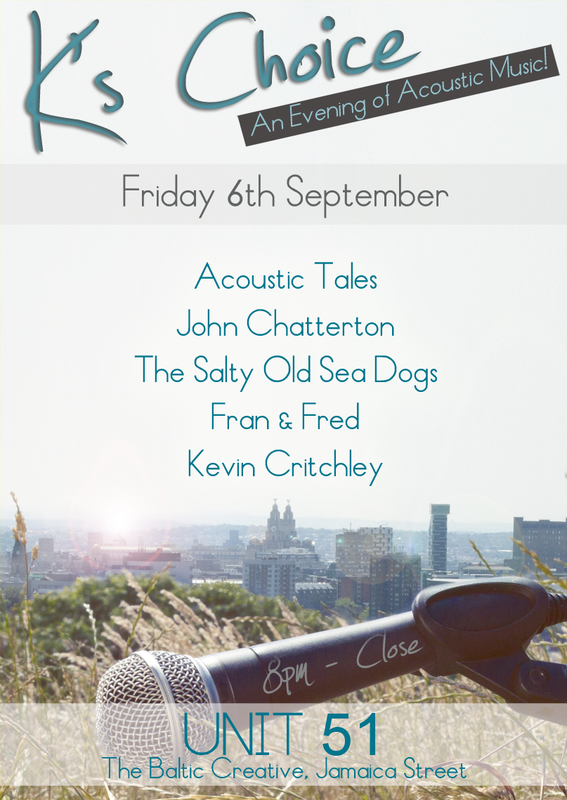 K’s Choice was in residence tonight and a fun night was promised, filled with some of the best acoustic music to be found – and all for free! First up K’s Choice host, Derek King kicked off with a couple of covers to get us in the mood. Billy Joel’s “Piano Man”, followed by the old Dire Straits standard “Romeo & Juliet” ushered in the mood for the evening. 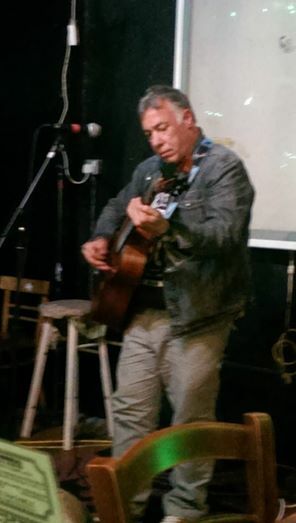 Derek then played a selection of original material including his protest song “The Price of Coal” originally written just after the great miners’ strike of 1984-85, and a couple from his “Sometimes” EP. 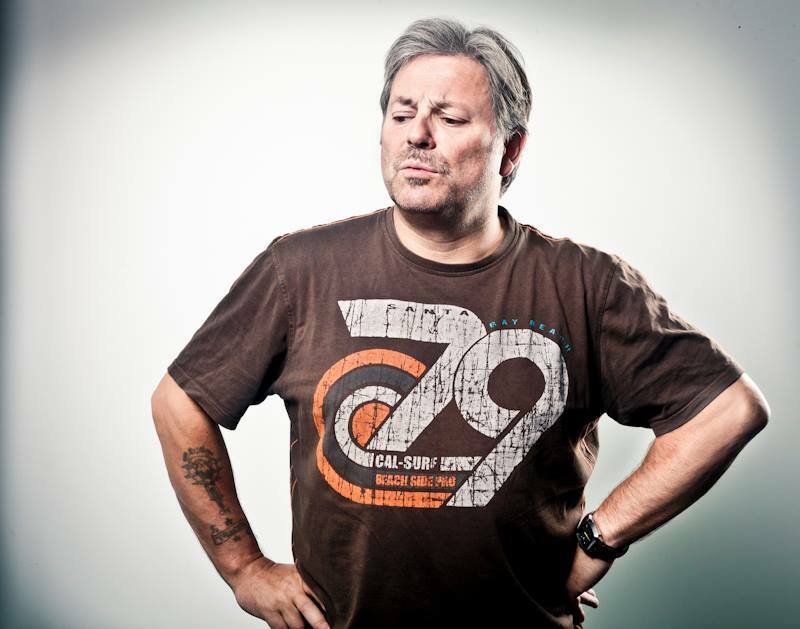 The stage was now set for our first guest, radio presenter and singer-songwriter, the one and only Billy Kelly. Billy has graced the K’s Choice stage at a couple of venues before, and he always seems to be playing somewhere in Liverpool. This evening Billy was at his very best and he played a wonderful selection of his original material. I particularly liked hearing once again his contribution to the K’s Choice City of Music album “Blue Skies Blue Eyes”, along with the very catchy “Thunderstorm” and his latest release “Wipe it Out”. A true gent of the Liverpool music scene and a cracking performer. Following Billy was the musical delight that is Jo Bywater. I’ve been fortunate enough to see Jo a few times now, and I am still in awe of her guitar style. The fingers of her left hand strut their way up and down the fretboard, never hurried, always measured, her guitar work is unbelievably intricate though perfectly controlled, and she accompanies this with a plaintive sounding, almost wailing vocal that makes the hairs on the back of the neck stand up. If you ain’t seen Jo, you ain’t seen nothing! Kicking off with “Wave”, Jo took us through a set of original materials that perfectly demonstrated the versatility of her style, into “Chopping Wood” and others from her recently released “Chasing Tales” EP. Now it was the turn of the whirlwind female acoustic duo ME and Deboe (Mercy Elise and Sarah Deboe), who’d travelled from Chester to grace our stage. These girls manage to meld two acoustic guitars and their two voices into a truly unique sound that is all their own. Their guitar playing is frantic and fast, often so frantic and fast that their hands blur – guitarists of lesser skill levels wouldn’t have a hope of keeping time, but Sarah and Mercy’s guitars gel perfectly with each other. As well as their stunning guitar work, the girls’ voices blend superbly with tight and melodic harmonies. It’s hard to pick a highlight, but if pushed I would have to say “Mother Shipton” is the one that does it for me. 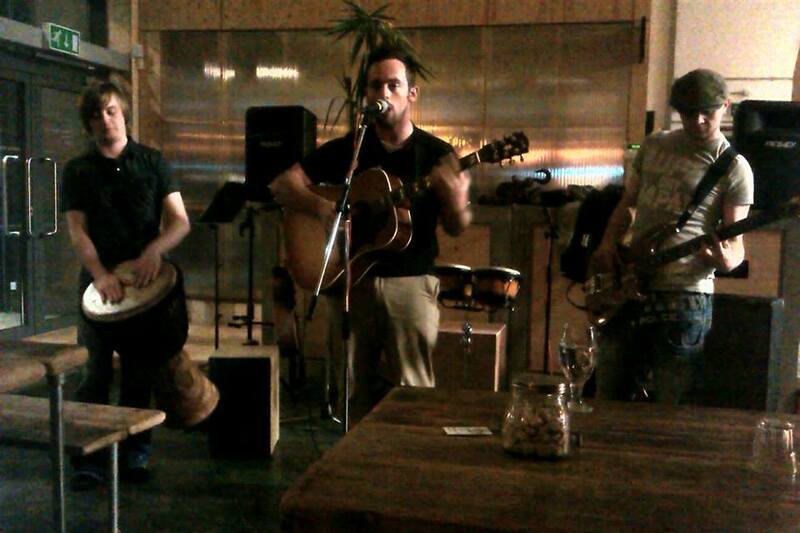 Last, but by no means least, was Wirral male acoustic duo, Simon on cajon, Gareth on guitar, who go by the name of Shoes4Brakes. These guys make music fun! Their songs are tuneful and inventive, catchy and fun, and the guys clearly enjoy sharing their repertoire of songs and interracting with the audience. When asked to play “Minnesota” which was their contribution to the K’s Choice City of Music album, the boys related the story of a friend who lives in Minnesota and wonders why anyone would want to sing a song about a place where there is nothing at all, except miles and miles of barren land and bears! “The bears sold it to us!” the guys enthused, and launched into “Minnesota”, which is one belter of a tune, as indeed are all their others. 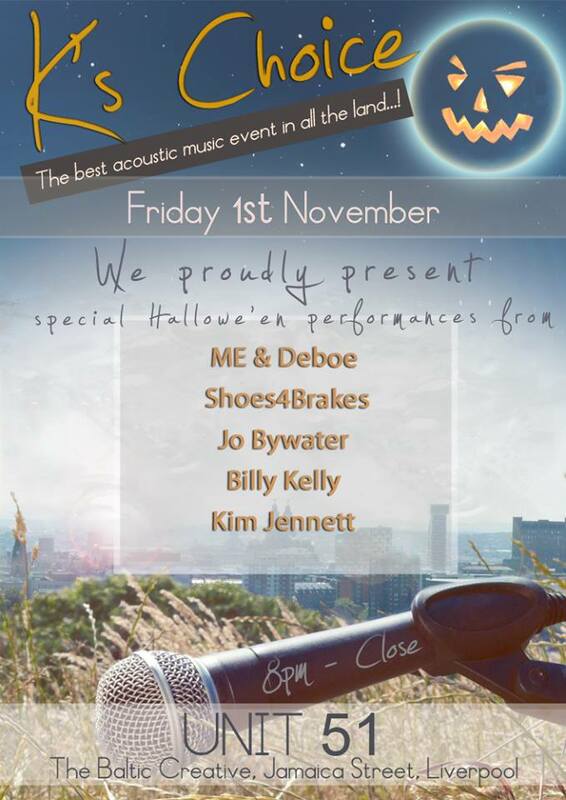 The great and the good and live acoustic music lovers were out in force on the evening of Friday 4th October for a bonanza K’s Choice bill at Unit 51. We had so many acts on that K’s Choice host Derek King had trouble fitting them all in before closing time….! Kicking off early doors was local singer/songwriter Peter Harrison, who, in his words, “writes songs to cure the aches of an over-active mind”. Those in the audience (some of whom may well have had an over-active mind on a Friday evening after a hard week in work) certainly enjoyed Peter’s enthusiastic and earnest performance, and he made a few new friends I’ve no doubt. 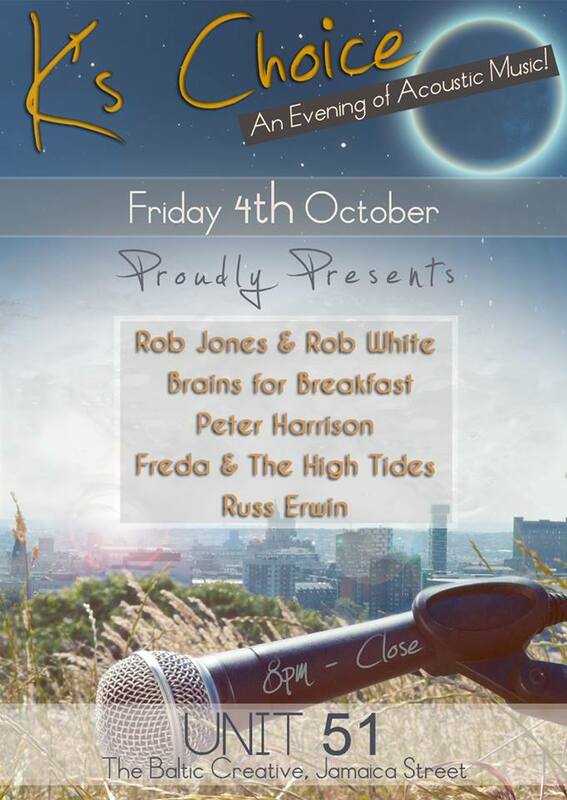 Following Peter were K’s Choice and Liverpool Acoustic favourites Rob Jones & Rob White. 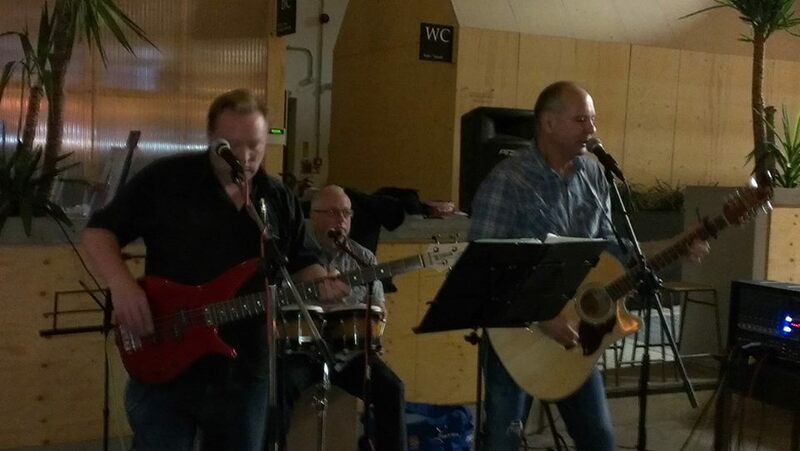 This melodic duo feature friends Rob Jones on acoustic guitar and vocal, accompanied by Rob White on vocal, and their tight and well practised vocal harmonies have a wonderful feel-good quality to them. The style of their self-penned songs hark back to the 60s and early 70s, with influence from such artists as Simon & Garfunkel, the Monkees and the early Beatles, all delivered with smooth professionalism and aplomb. 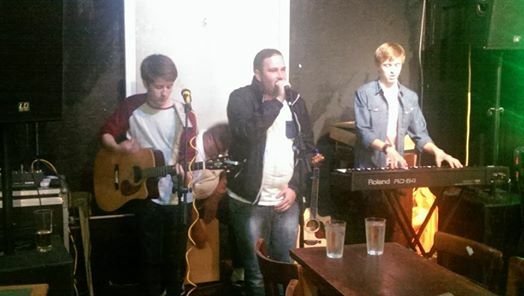 Next up was a special addition to the bill, special guest 17 year old local student Pete King. Pete’s song-writing is wonderfully mature for his tender years, and his songs tell insightful stories of the everyday worries and concerns of a teenager. His guitar work is inventive without being over complicated and his vocals soar. Pete’s set finished with a rousing version of McFly’s “It’s all about you” with his mate Dan joining in for some pretty tight vocal harmonies. 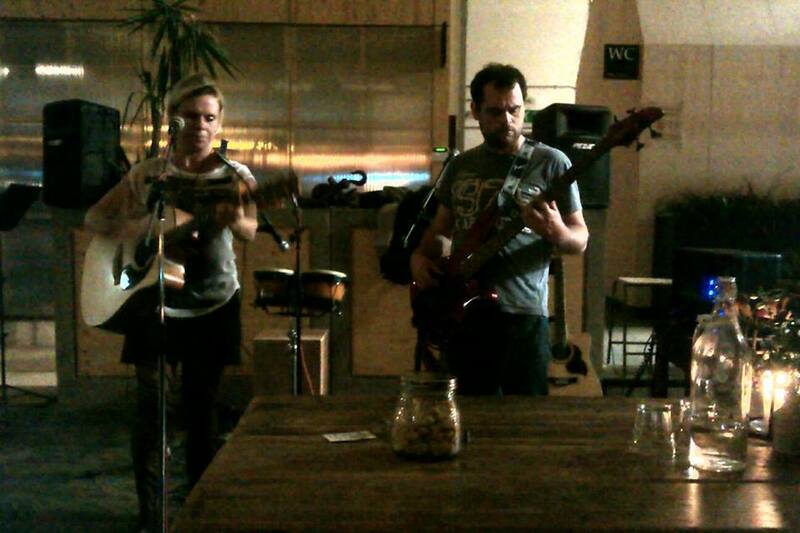 Next we had another special addition to the bill, guitarist Joe and singer Katrine from the folk-rock band Kalandra, who just happened to be passing by and looked in to say hello. We only had time for two songs, but ooooooh they were good! 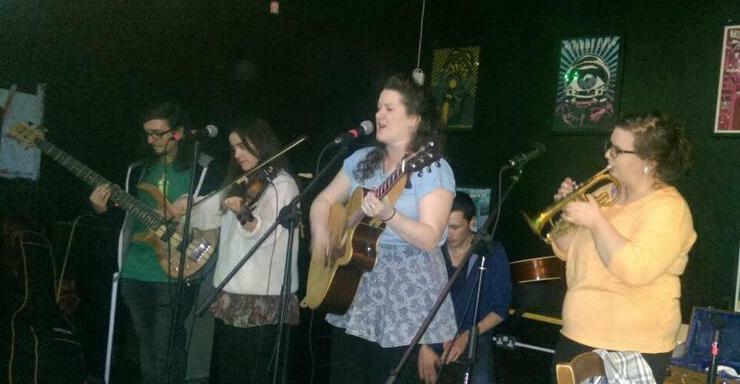 We hope to book Kalandra for a full set really soon. 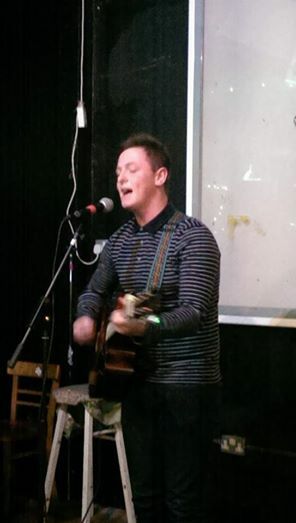 Slowing the mood down and relaxing the pace, next came Blackpool based singer-songwriter Russ Erwin. With gentle acoustic guitar work and soaring vocals Russ delivered a sublime set of his original material with some finesse. With his arrestingly gentle, soulful, (mournful even) delivery, Russ silenced the place. It was like honey in the ears, an absolute pleasure to listen to: Blackpool and the surrounding Lancashire areas have a gem in their midst, and one hopes they appreciate it! Following Russ was another artist who had travelled a distance for the pleasure of gracing a Liverpool stage: a lovely friendly and cheerful young man called Matt, with the stage name Brains for Breakfast. Matt hails from Walsall and consequently plies his trade a lot around the West Midlands and in Birmingham, and it was something of a special occasion for him to come and play in Liverpool. His music is somewhat akin to his persona – refreshingly upbeat, inventive and intelligent, though without taking itself too seriously. A polished and thoroughly enjoyable performance. 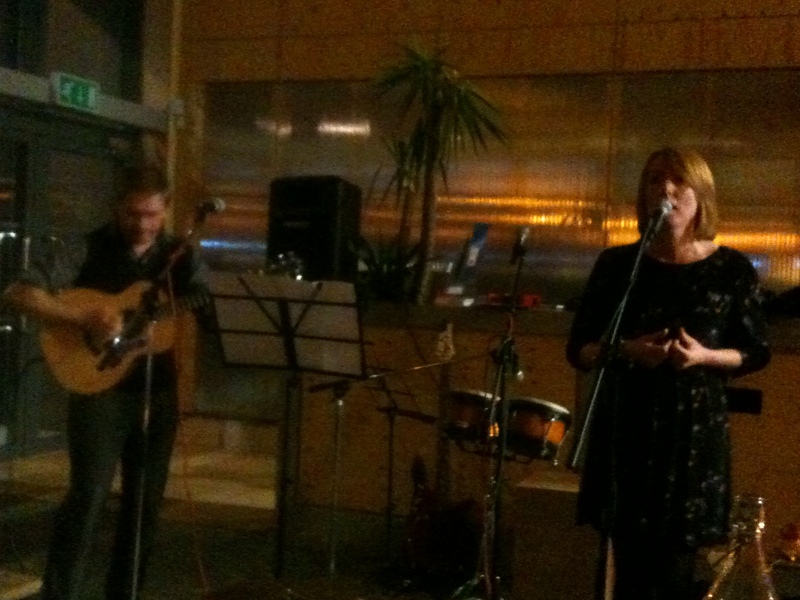 And last, but certainly not least, we were treated to a set by the delightful all girl trio, Freda & the High Tides. They describe themselves as “three girls, a guitar, a melodica, a tambourine and some kazoos”, but put ’em together and they are so much more than that! The hour was late by now, many of the audience had left to catch last buses and trains, the girls were full of wine and slightly “tired and emotional”, but their performance was nothing less than professional. It says something about performers when, faced with the disappointment of a diminishing audience due to their set being pushed back late, they perform every bit as professionally and enthusiastically as they would play to a thousand people. Well done ladies, you are stars! And that, dear reader, was that. 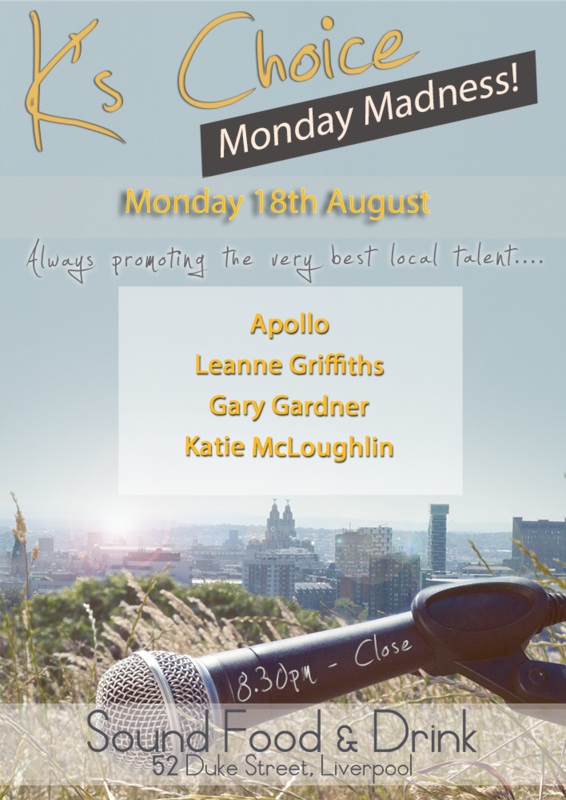 Live music all the way from 8.30 through to after 12.00. Thanks to all musicians, and special thanks to Stella the manager of Unit 51 for making it all possible. Catch K’s Choice at Unit 51 again on 1st November. Billy Kelly – the Bootle Roy Orbison? I was hosting K’s Choice in the American Bar & Grill recently where Billy Kelly was playing a set, and a group of young lads (led by Billy’s son, Will) were enthusiastically and raucously singing “There’s only one Billy Kelly!” in between his songs. It was lovely to see young people enjoying the music from one of Liverpool’s more mature performers (I hope Billy will forgive me for the word “mature”!) and it impressed on me the magical property that music has to span the generations and, among other things, contribute to a bloody good night out – which is what Will and his mates undoubtedly had! It also made me think….. how can there be only one Billy Kelly in Liverpool? With a name like that there must be hundreds of them! 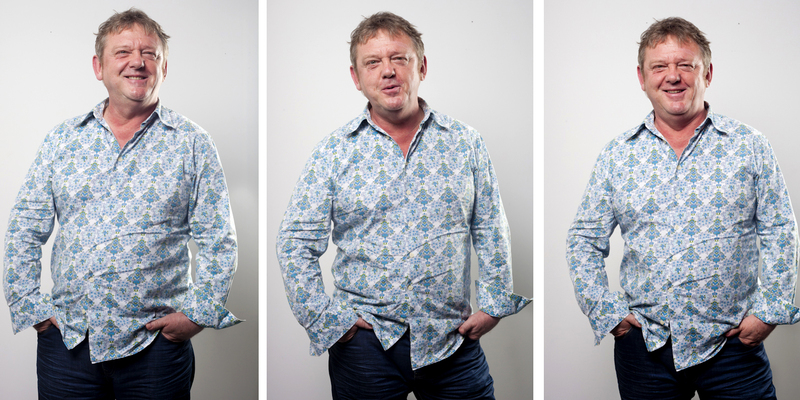 But there is only the one Billy Kelly who we could well consider to be one of the elder statesmen of the Liverpool music scene, having spent 30 years or more living and breathing his music. As a boy growing up in Liverpool, Billy taught himself guitar and played in bands with mates at school. Inspired by the excitement of the music scene of the time, and brimming with musical talent and confidence (and no doubt the cockiness of youth!) he actually did what many other musicians of his generation wish they’d done – he gave a full-time music career a serious shot. Billy moved to London in the early 80s to ride on the crest of the post punk new wave, where he was to stay for some 23 years and bring up his son as a single parent. Amongst his favourite musicians he lists the Beatles, though as a child growing up in Liverpool not long after their heyday he used to maintain his distance from the fab four. “I just used to get sick and tired of people banging on about them all the time,” he laughs, “but once all the commotion died down I was able to enjoy listening to them properly. I remember first hearing the ‘White Album’ and thought, ‘Whoa, what have I been missing here?’” More Billy’s era were such greats as Elvis Costello and Paul Weller, the post punk new wave artists, the guys who inspired his move to the London music scene. Read on to learn more about the Bootle Roy Orbison…..! Q. What have you been up to this weekend? A. I’ve just finished recording and producing a new song called “Wipe it Out”. I uploaded it to Soundcloud just this weekend and it’s had about 250 plays in two days. That has just blown me away! It’s a song about the negative influence of things like the X-Factor, and I just happened to have uploaded it on the weekend when X-Factor started on the telly, so quite by accident, I timed it right. Q. What age did you start playing and performing? A. When I was a lad my parents bought me my first guitar with Embassy cigarette coupons. They were like Green Shield stamps for smokers! It’s laughable now how they used to give coupons out with ciggies to try and encourage people to smoke more. You can’t imagine anything like that these days. That first guitar was like playing a cheese grater, absolutely awful, but it made me really appreciate it when I saved up and bought myself a half decent one. As a schoolboy I used to play in a band in a mate’s garage. Music wasn’t taught at our school so we just used to organise ourselves. It was all just a bit of a laugh really, and most of the kids gave up music when we left school, but it was in my blood and I just went on and on with it. Q. Which Liverpool venues have you played at? Which are your favourites? 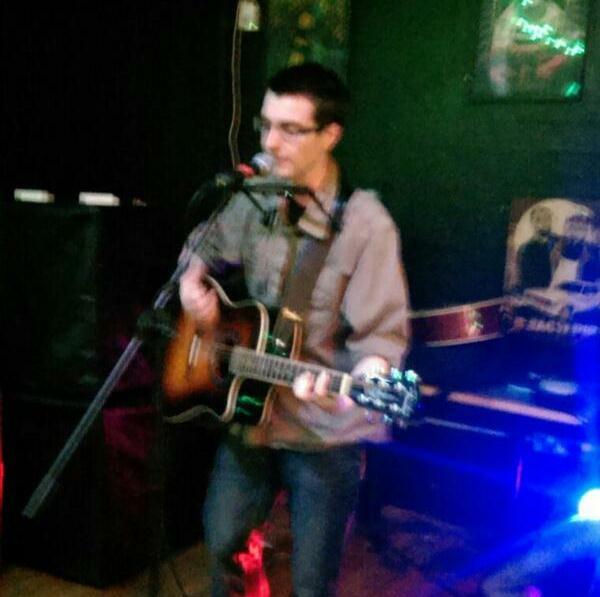 A. I’ve put myself about and played at most of the places that host acoustic music and open mike slots. I like the Lomax, though I haven’t been for a while, the Zanzibar is special too. 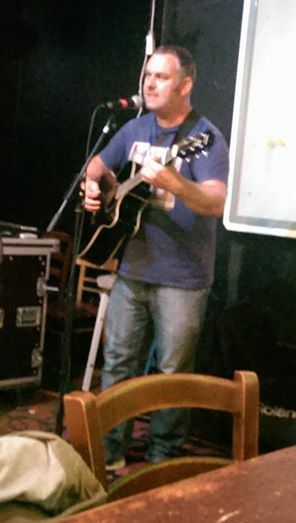 I’ve recently played at the bombed out church (St Lukes on Berry Street & Leece Street corner) which was a great experience, also the Head of Steam pub is a great laugh. I wouldn’t like to pick a favourite though, they are all special in their way. Q. Tell us about your song on the K’s Choice album, “Blue Skies Blue Eyes”, what’s it about? Where did the inspiration come from? A. It’s a bit sad actually, I had a long-term girlfriend when I was younger, and she had the most beautiful blue eyes. We split up just before I went to live in London, she went to live in America, but we remained really good friends. Unfortunately she got cancer of the stomach and passed away when she was only 30. Although we weren’t together at the time we were still very good friends and her passing hit me hard. So the song is for her, but it’s not a sad song, it’s a celebration of her life really. Q. How does your song writing process normally work? Typically how long does it take you to write a song? A. It’s something I’ve never been taught to do, I’ve never had a music lesson in my life, it just all seems to be instinctive. Ideas occur to me at random moments and songs seem to develop for ever if I let them, they just flit in and out of my mind. I have to find the discipline to sit down and finish them off, but even then I often re-visit them some time later and change the middle eight or something. I can’t write a song to order though – they never come if I try and force them. A couple of years ago I tried to write a song when my dad died, but when I sat down to write it I found couldn’t do it. To find out more about the K’s Choice album and order a copy please click here.